We just returned from a week’s stay at the Thaison Palace Hotel and could not have had a better experience. We had a nearly-midnight flight to Hanoi and we were met by the hotel van who transported us easily to the hotel. We got checked in quickly and made our way to the rooms. There were five of us who split two rooms–a twin and a triple. The triple room facing the street was large and comfortable with generous proportions. The twin bedroom in the rear was smaller, with no window, but it perfectly suited the men who wanted peace and quiet. (The front rooms are all challenged by traffic, but that is to be expected in Hanoi where motorcycles and honking abound; you just have to get used to it.) The next morning, we experienced a satisfying breakfast and menu selections varied each day. Always available were omelets, scrambled eggs, and a variety of egg dishes. The restaurant was never crowded and breakfast was available from 6:30 to 10. One of the best assets is their staff. Louise set up all of our tours and they went flawlessly. For example, a taxi picked us up at our hotel for the trip to Sapa, someone met us at the station to purchase the tickets, we were escorted to the train, met at the other end by a driver with our name on a sign, and upon returning at 6 am two days later, we were met by the same taxi driver to pick us up. No stress at all.The only disappointment was not being able to sleep on the Lotus Queen due to a “storm”. The government decreed that nobody could be out and so even though we thought it ridiculous, there was no option except to take the tour’s offer of rooms at a local resort. 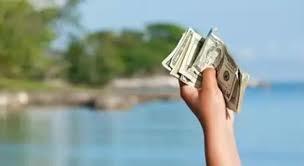 Louise arranged for a partial refund to compensate for not being able to stay on the boat. Every single person we encountered on the staff was friendly and accommodating. We loved the food. The location was great; three blocks from the lake, within easy walking distance of everything. The Thaison Palace Hotel was always able to exchange our money for rates better than the bank. They arranged private tours which ended up being better than larger group tours. One of their staff acted as a guide and was capable and enthusiastic.This is a very good hotel in hanoi that gives good value for the money and offers a stress-free vacation.